A recap and overview of The Mountaineers 2017 Leadership Conference. 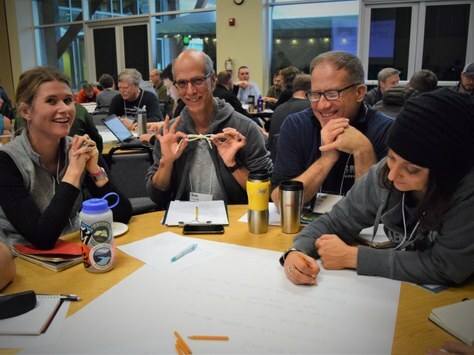 The Mountaineers hosted our fourth annual Leadership Conference on Saturday, December 2 at the Seattle Program Center. It was an outstanding day of leadership development for our volunteers and community partners - thank you to everyone who was able to attend! It is inspiring to see so many members of our community gather under one roof to learn and grow together! John Wick gives a tour of The Mountaineers' new Friction Slabs during a Lunchtime Mini-Session. 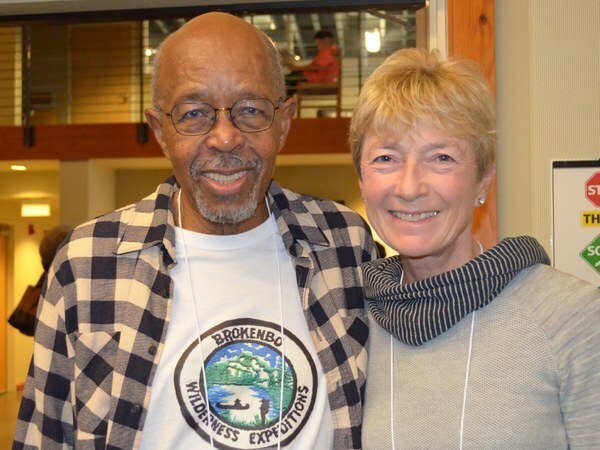 J.R. Harris, Keynote Speaker, and Nina Crampton, Mountaineers Leader, Volunteer, and Presenter. Attendees participate in a Breakout Session activity. Many of our presenters have generously shared their slide decks and/or presentation materials. We will continue to add presentations as we receive them! 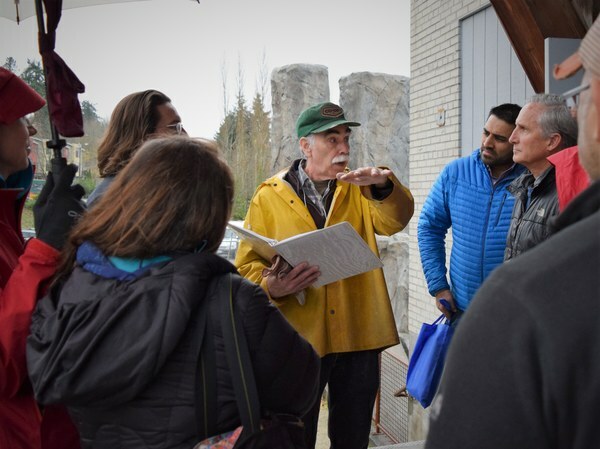 In addition, The Mountaineers' own Tom Unger will be presenting a follow-up to his presentation "Forming Compatible and Cohesive Groups" on Saturday, January 6 at the Seattle Program Center. This is a great opportunity for both conference attendees and those who missed the event. 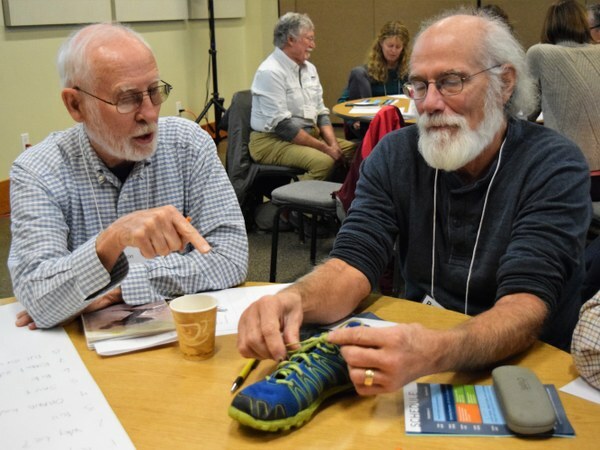 Tom's workshop is pertinent to all leaders at The Mountaineers, regardless of activity. Register now! We've compiled the general feedback received about this year's Leadership Conference. Here's a snapshot of the highlights! "It was fantastic. I wish I could have been in three or four places at one time. So many sessions but only one me." "It is important and valuable for The Mountaineers to improve the quality of its leaders. 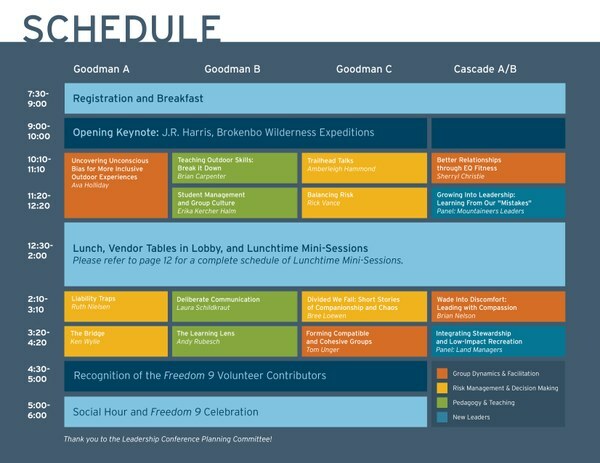 This conference is an important component of Mountaineers leadership improvement." "I think we as leaders need to be refreshed each year to become better leaders. Sessions on how to recognize your own feelings, how to communicate to the group and how to build individuals into a compatible group should be required for all leaders so we can promote our programs to a higher degree." "Excellent. I really hope this continues. I think its making a big difference in the quality of leaders in The Mountaineers and also personal and work life." "Wish it wouldn't have ended. There's at least a weeks worth of topics here." Thank you for everything that you do to support The Mountaineers, and for engaging in these ongoing leadership development opportunities. We hope to see you next year - save the date for Saturday, December 1, 2018! If you have any questions, comments, or additional feedback, please contact Sara Ramsay. Additionally, we'll begin planning our 2018 Leadership Conference in early 2018. If you are interested to be a part of the planning process, or you have a suggestion for a speaker, please let us know!